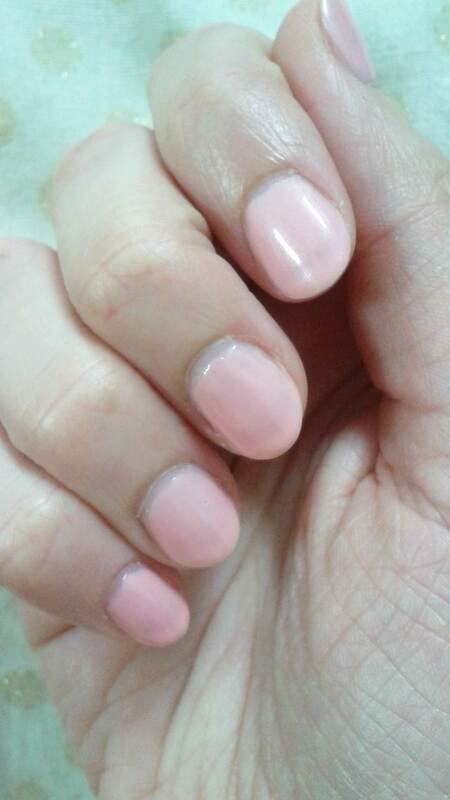 Around August time, I really wanted to have a pale pink nail varnish in my collection. My collection is not as extensive as some people, but I do have enough that I feel a bit wasteful if I keep on buying new bottles. 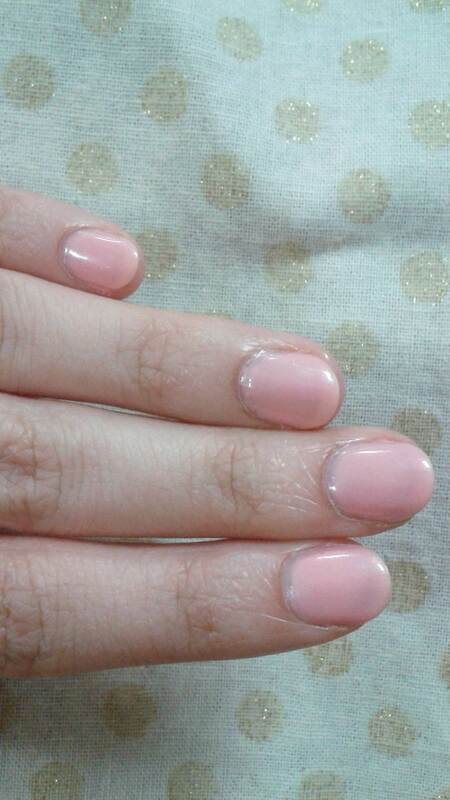 I really really wanted a pale pink though. 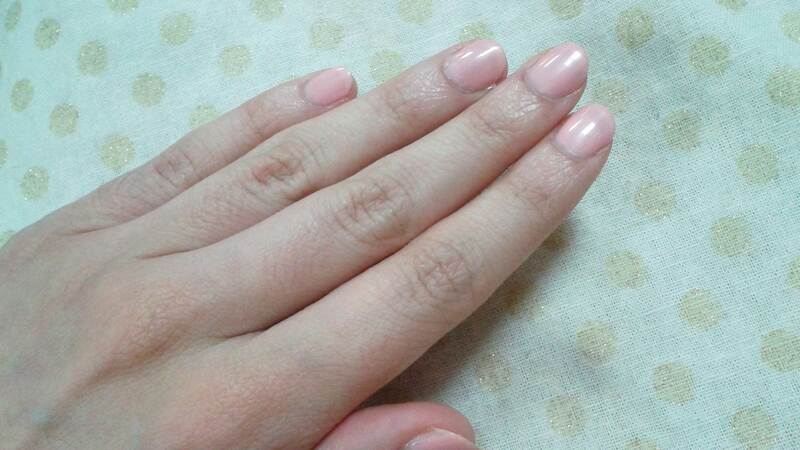 One of the main reasons is that I’m really lazy, and pale pink isn’t so noticeable when it’s all over the cuticles. I knew it wouldn’t be OPI or Essie as a) they’re expensive here, and b) the bottles are far too big. I bought my first OPI nail varnish 3 years ago and I’m only halfway down the bottle. The situation is even more dire with my Barry M bottles from 2008! I’m only 1/3 of the way down those. Luckily they quality is excellent so they are still usable. As I was browsing, one of the two collections that met my conditions was Mavala. I had never heard of it until a French friend was in raptures telling me about it. The other was Orly. Of the two, Mavala had a better selection of pinks. Some of them looked only fractionally different in the bottle, so making up my mind was tough. 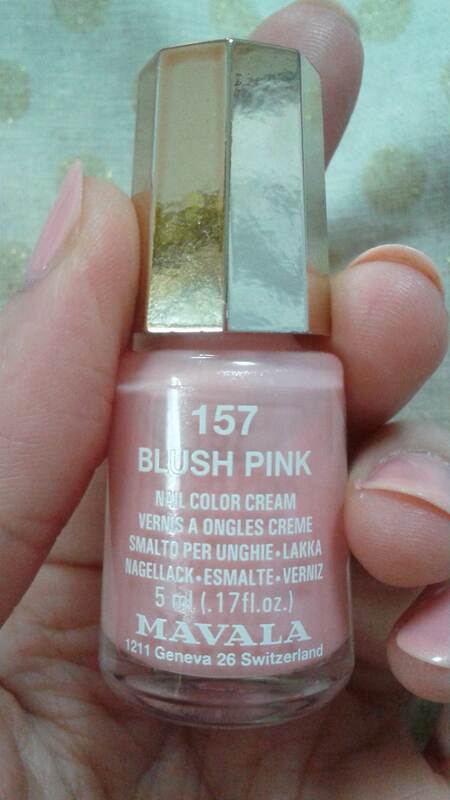 I spent a lot of time on Google image search and beauty blogs, and in the end opted for number 157 Blush Pink. It costs 700 yen, so it doesn’t feel like I’m a spendthrift (even though perhaps a bigger bottle would be better value per millilitre), and the bottle is only a cute little 5ml, which is great. It means that when I run out (faster) I can try a different shade of pink! I found that this shade was nice in two coats, but three was obviously more intense. With one coat you can definitely make out the brush strokes, and it doesn’t look even. It has a lovely silver shimmer running through it. Mavala call it a Nail Color Cream, but I would call the finish iridescent and slightly metallic if that makes sense. One of the pros of this varnish in my book is that it seems to dry faster than my other ones, even the ones that claim to dry in 60 seconds. I know some people don’t like pale nail colours, but I think it’s a great choice for job interviews, or for work if you aren’t allowed to wear more bold colours. It gives a polished, chic look that is appropriate for all workplaces, unless of course you are not allowed to wear any at all. Are there any places like that? I’ve no idea. Anyway, I’m quite happy with my purchase, although I know it won’t be for everyone. Have you ever used Mavala varnish before? If so, do you like it? Have you tried this particular shade before? Do you think it’s something you might like to try? I hope you have all had a beautiful, relaxing weekend. Love you loads and catch you soon! Yes, it would really big me if I ran out of one way before the rest ha ha! I’ve only tried Mavala nail care, never a nail polish, this looks nice on you.